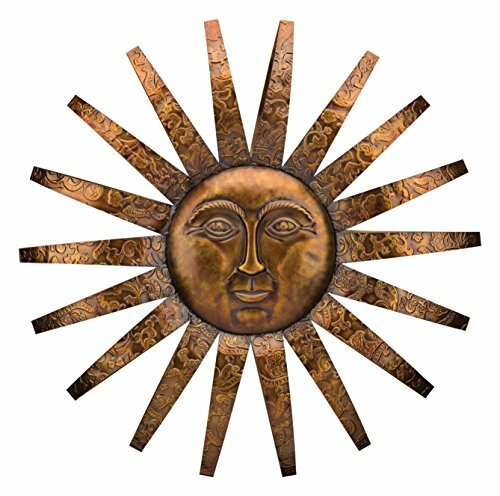 Gorgeous Metal Sun Plaques and Sun Faces for Your Wall! Here comes the SUN! 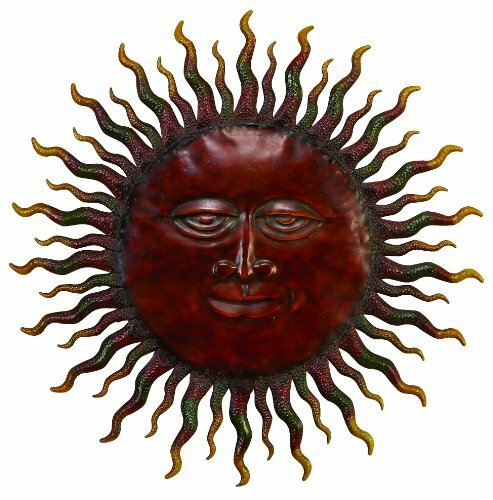 Gorgeous Sun Face Plaques for Your Home! How about hanging the SUN on your wall? 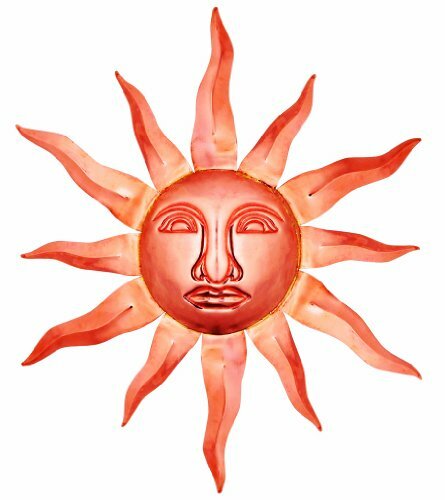 I found the most beautiful sun plaques and sun face sculptures to hang on the wall! Mr. Sun is a little pensive today, but he is still gorgeous, isn’t he? He was made from iron and painted using the most vibrant colors available! *This gorgeous metallic sun sign also comes bearing great news for you! I hope you have beautiful sunny days every day! He is made of metal and it has gorgeous 3D raised rays! Where are you going to hang him? Mr.Sun is looking fiery hot today! He is made from solid copper and he is available in two different sizes. Will look awesome outdoor, near your front door, don’t you think? 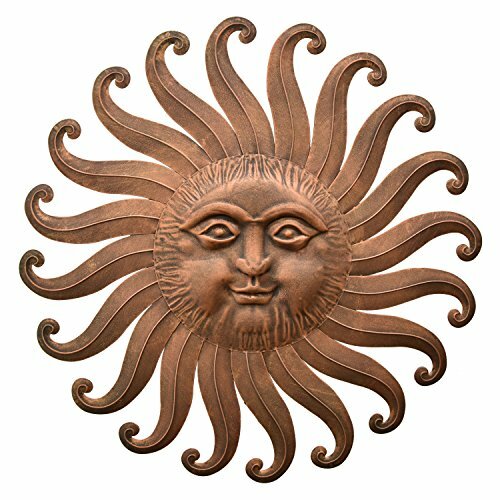 Another gorgeous sun copper wall sculpture for sale! What a wonderful way to have a sunshiny day every day! Huge Garden Sun Statue for Sale! This is my favorite garden sun sculpture! 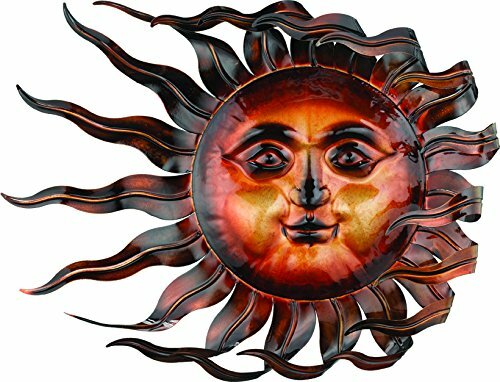 It is a huge and beautiful happy and serene looking outdoor sun face statue! He is made from heavy cast aluminum. Buyers say it looks even better in person! 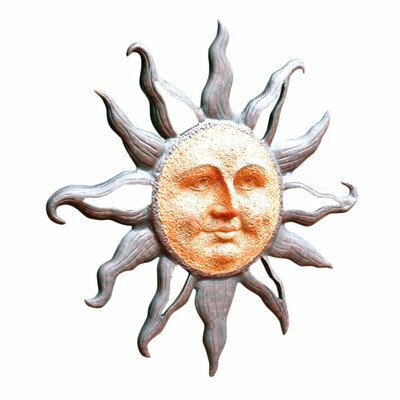 If you are looking for gorgeous and affordable metal sun plaques for sale, then you are going to love this one! It has a gorgeous brown color and a pretty cool and unique sun face! His cosmic sun rays are awesome! He is pretty large too and will look great on any wall! 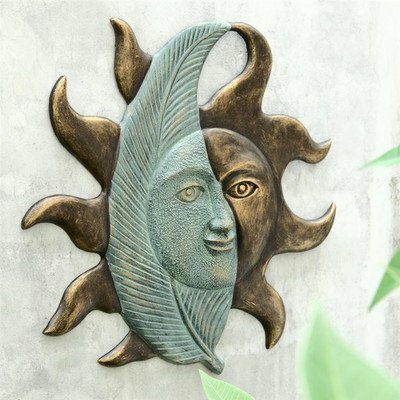 What a beautiful sun and moon together wall sculpture! If we could ever get them together I bet that’s how they would look! 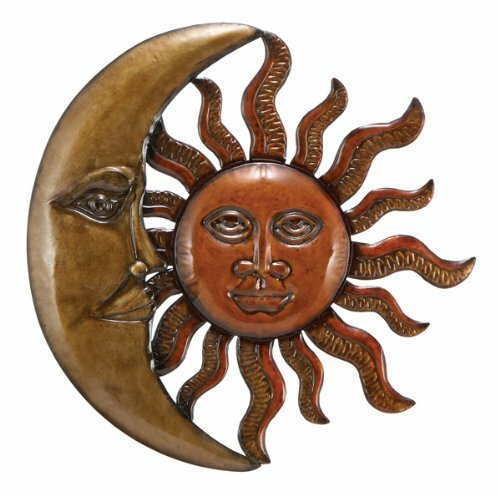 If you love both the sun and the moon, then this beautiful wall sculpture is for you! I love the gorgeous bronze finish! Gorgeous Sun Face Windswept Sculpture! The wind is really blowing on the sun today! 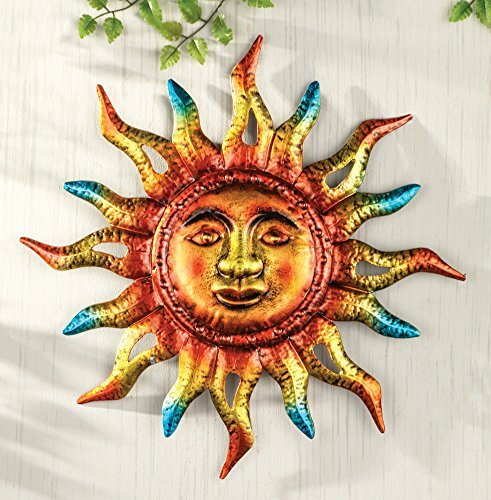 What a gorgeous and unique sun plaque for your wall! 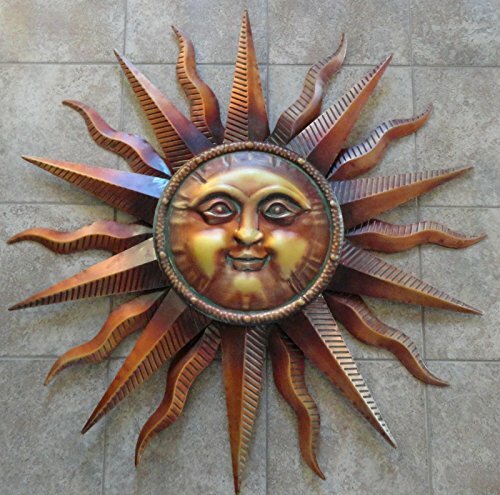 What a beautiful, creative and very unique sun face wall decor piece! It is a leaf and the sun together! Very creative! Great to have right beside your door or above your garage! Another cool and expressive sun face wall art piece for sale! He is made from copper and he has gorgeous colors! He is also fairly large (at 38 inches). 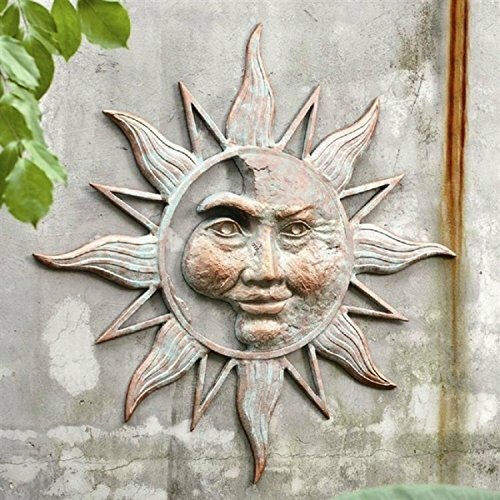 The Most Beautiful Sun Face Garden Wall Plaque! I also love this cool hand-painted powder coating finish! Will look absolutely amazing on your outside wall, near your front door don’t you think? The size is pretty decent too, at 33.5 inches in diameter.